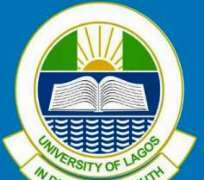 The Governing Council of the University of Lagos, at its meeting of Thursday, March 14, 2019, appointed Dr. (Mrs.) Yetunde Abosede Zaid,CLN, as the new University Librarian. Her appointment will take effect from Thursday, March 14, 2019. Dr. (Mrs.) Yetunde Abosede Zaid has served as Head, Cataloguing Section (2008 – 2010), Research & Bibliographic Department (2010 – 2011) and is the current Head, Reader’s Services Department, (2012 till date), all in the University Library. She is a Certified Librarian of Nigeria (CLN) and member of the Nigerian Library Association (NLA), International Federation of Library Associations and Institutions, and several other professional bodies. She is happily married and blessed with children.